Web Hosting Tools – Dallas, TX – Limestone Networks, Inc., the Dallas-based dedicated server provider, has introduced one of the most innovative and aggressive reseller programs in the industry that features significant discounts for resellers. The reseller program is structured on a five tiered system with discounts based on the number of servers online. Resellers only need two servers online to qualify for the program and start receiving exclusive price reductions. Beyond the initial discount, Limestone Networks has also introduced a loyalty program as a special reward to clients based on longevity. Clients in the program will be entitled to extra savings on top of the already heavily discounted reseller pricing. The innovative new program also features additional discounting that can be combined with other promotions and sales to ensure that resellers are given the best pricing possible on Limestone Network’s entire line of servers. Reseller discounts will be up to 20% off regular priced servers and the stacking of up to 11% off of servers that are on promotions. 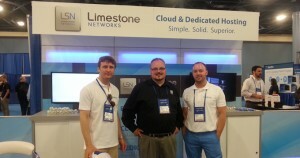 In conjunction with special pricing and early notification of new sales, resellers will have access to the exclusive Limestone Networks Reseller Forum, the leading-edge Rockware reseller dashboard, as well as a periodic reseller newsletter with special news, offers, and tips for resellers. Web Hosting Tools – Dallas, TX – Limestone Networks, Inc., the Dallas-based dedicated hosting company, is the first such company to enable full server management through an Android-based application on the new Google G1 mobile phone.